Alheira is a Portuguese sausage made with a variety of meats (not including pork) and bread. It is usually made with chicken. 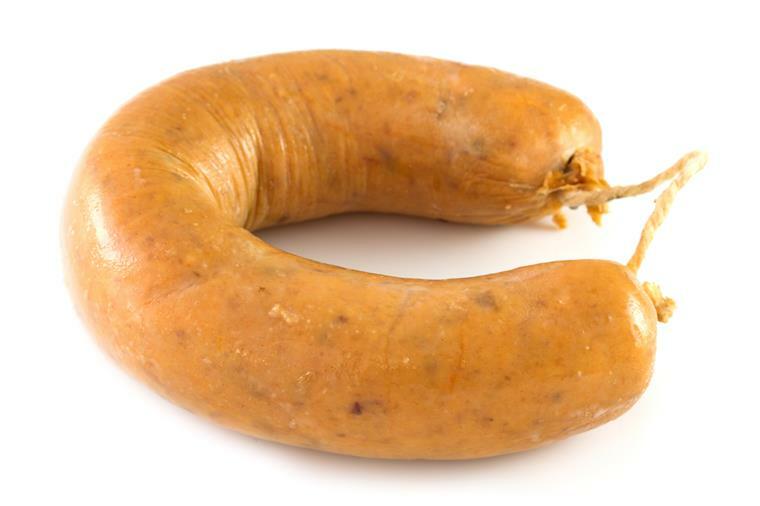 The name Alheira comes from Alho (garlic) which is a common ingredient in this sausage. I first tried Alheira last year and fell in love with the flavour. Alheira can be fried, grilled, and added to several dishes. I love adding it to stuffing. You will need one Alheira, one sheet of puff pastry and one egg. If you can not find Alheira in the supermarket you can try this recipe with your favourite Portuguese sausage. 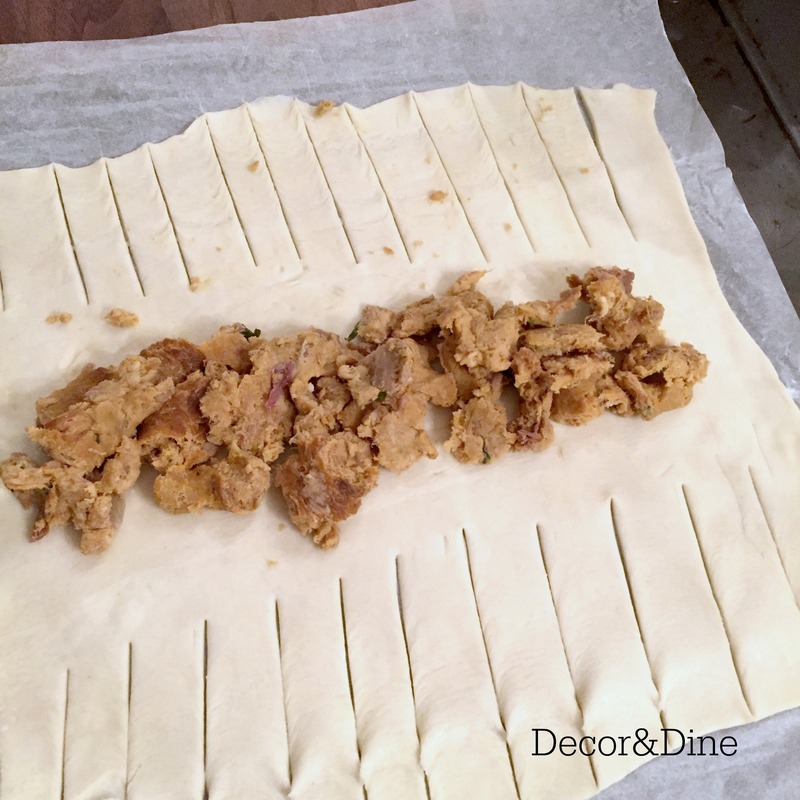 Stretch the puff pastry on to a sheet of parchment paper. 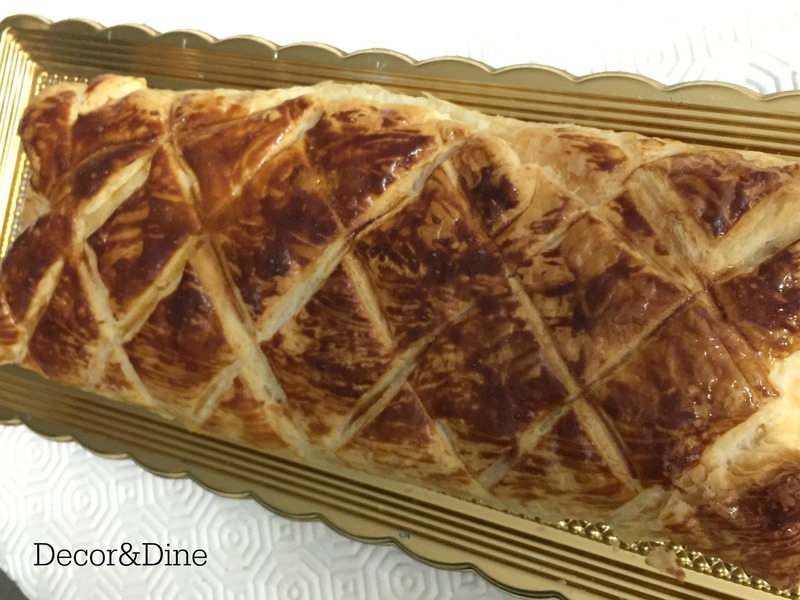 Remove Alheira from its casing and spread mixture in the centre of the pastry. 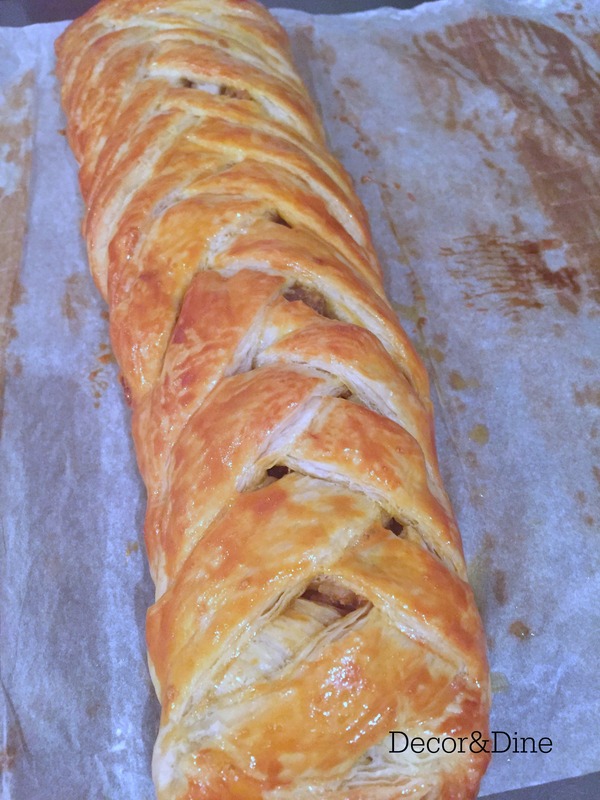 Cut slits on both sides of the pastry, approximately one third of the way in. Starting at one end, bring the cut sides to the centre by braiding them, continue braiding until complete. 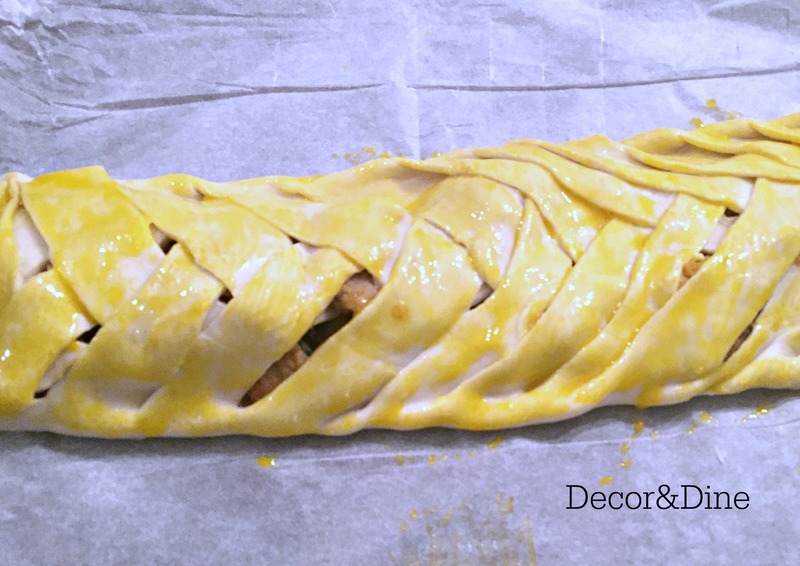 Beat egg and brush over pastry. Bake for 20 to 30 minutes until golden brown. 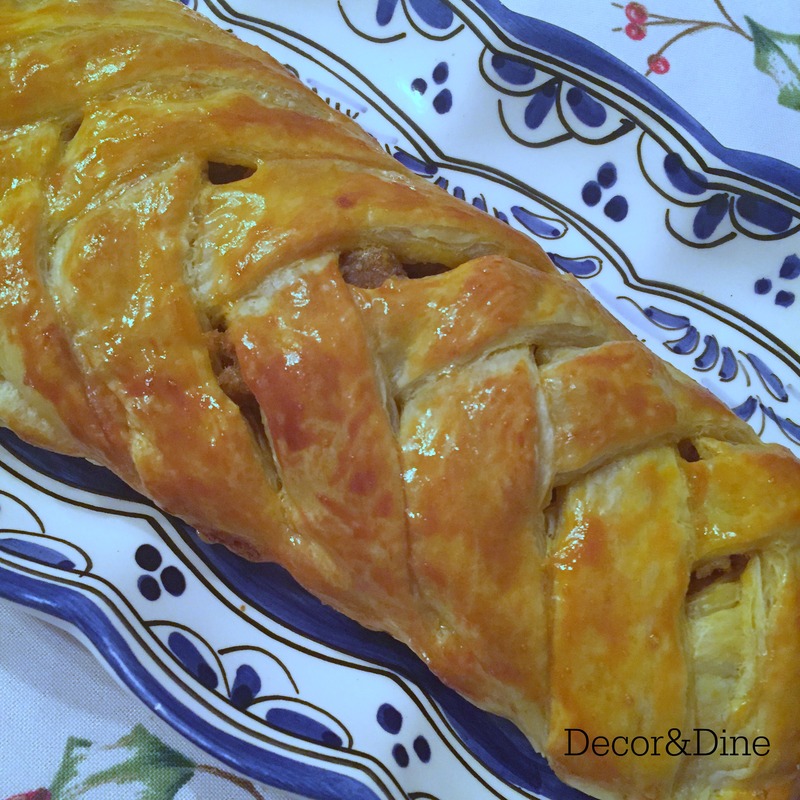 This Alheira Braid can be served warm or cold. Cut into thin slices it makes a great appetizer. or as an addition to your buffet table.